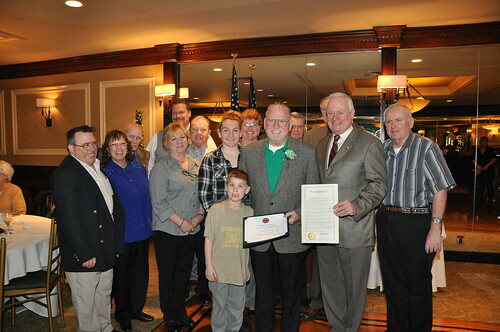 Senator Marty Golden held a breakfast ceremony this past Saturday honoring local Irish leaders during Irish Heritage Month. 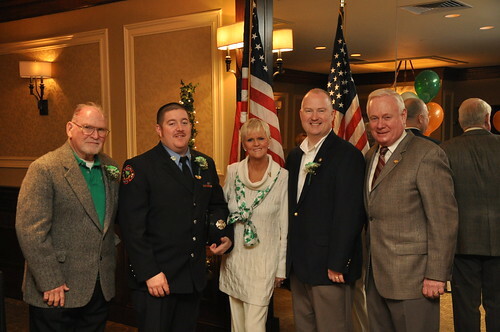 Richard Cannon: A member of the FDNY Emerald Society and the Holy NameSociety, Richard has dedicated his life to helping others. He currently serves as an executive board member of theFDNY Fire Family Transport Foundation, a volunteer with the Wounded Warrior Project, and has worked with the FDNY Burn Center Foundation. 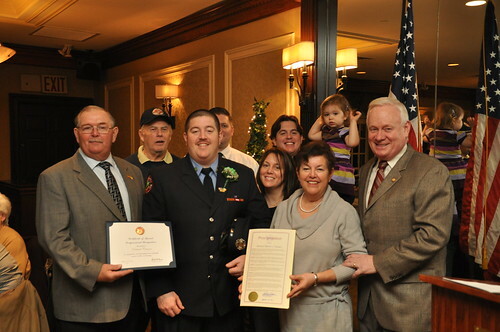 Martin Connelly: Martin served his country honorably in the United States Navy. After his discharge in 1963, Marty returned to Brooklyn, married his wife Patricia, and has been a presence here ever since. His community involvement includes the Boy Scouts of America, PTA president for St. Francis De Sales, the Cort Club, and the American Legion. for returning the Great Irish Fair to Brooklyn. Kevin, his wife,and two children, live on Staten Island. Maureen Stramka: Bay Ridge wouldn’t be the same without Maureen. He routreach includes: BRAVO, The Halloween Walk, the Bay Ridge Lions Club, Ragamuffin Parade, and Community Board 10, among others. She is most proud of her work with the Bay Ridge Community Council, having served as a boardmember, recording secretary, 2nd & 1st VP, and President. Looks like Marty is looking for more Votes ! 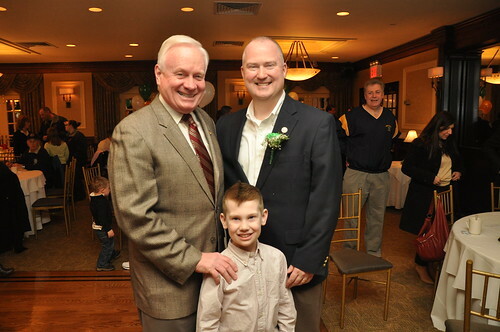 Marty Golden an Honorary Irishman Ya Right LOL. Politicians are all Opportunists.We should never forget that!!! 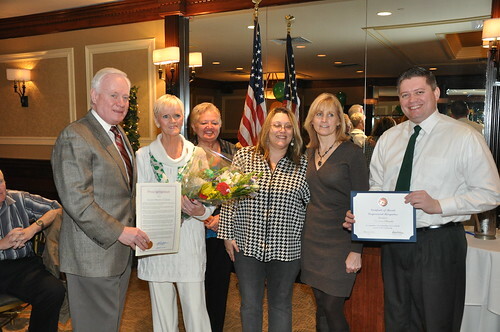 Marty Golden isn’t an ‘honorary’ Irishman, He IS irish. Don’t let the name lead you to believe he Jewish, he is from a big, Irish Bay Ridge family. I am a bit disappointed in him lately. For a retired Poilice Officer, he has become rather anti-union and voted against the extention of the millionaires tax. Like them all, I guess he is bowing to the wills of the Big Money. It’s always the same. Does anyone really know why he voted against the millionaires tax? Remember, there’s loopholes in everything. I think he is just going with the Flow, anti Union that is (Wisc etc).It does not take long for Politics to corrupt the Honest people. If he was born in ny ,how is he a Irishman. Oh, excuse me Steve, He is an American of Irish decent, or to be PC, an Irish-American. My point was to Irish Kevin who called him an ‘honorary’ Irishman. Once these guys get involved with Politics or become Politicians all bets are off.The Baby kissing and appearances begin as pictured above.After that it becomes all about them (Egomania). I for one Don’t buy all the BS. What I don’t understand is that this Guy was once a member of the PBA now that he is a politician he is Anti Union.He presents himself one way to get Elected once Elected in Fact the only cause he truly supports is himself …. I don’t understand it either. I just know that he backs all of Blumbergs evil plans 100%. Maybe he is planning a Mayoral run?